Argyle will make the relatively short 96-mile trip to the Avenue Stadium at the beginning of November. It is a ground Fletcher knows well from his Bournemouth days after the Cherries shared with Dorchester in 2001 while Dean Court was being rebuilt. 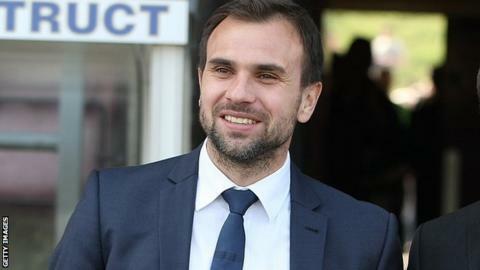 "We're really looking forward to it and I'm sure it'll be a tough game," Fletcher told BBC Radio Devon. The two sides have faced each other just once before in a competitive match. Argyle beat Dorchester 5-2 at Home Park in December 1957. "Luckily we haven't got a long journey. "I suppose it's bit of a local derby if anything," he added.